nuclearsectorjobs.co.uk was launched to facilitate the recruitment of skilled personnel to the nuclear sector. The coming years will see unprecedented demand for nuclear expertise as the UK’s nuclear industry faces the challenges ahead. Nuclear power is now seen as a crucial element in the solution to energy supply security, and its resurgence is being driven by the need to reduce carbon emissions and dependence upon hydrocarbons for energy production. Engineers, scientists, business minds, talented managers and financial experts will all be essential to the future of the sector. The nuclear sector is diverse, encompassing decommissioning, power generation, processing and defence. Decommissioning is at the forefront of meeting the commercial and environmental challenges of this sector. The clean up and management of the nuclear legacy is one of the most demanding challenges facing the industry. Power generation The UK’s nuclear power stations currently account for nearly 20% of the electricity supplied to meet national needs. A growing appetite for clean, safe and reliable energy has led to the commissioning of a new wave of power stations. Processing and reprocessing nuclear fuel is a rapidly growing part of this sector. The challenges are incredibly varied - from operating commercially in a global market to making new advances in chemical engineering. Defence plays an important role in the nuclear industry. A build programme of submarines continues alongside the studies to replace the national deterrent. A number of new contracts are being delivered for the Ministry of Defence by various suppliers located throughout the UK, with the work ranging from construction to dock maintenance. Whether you have experience in the nuclear industry or have transferrable skills and are looking for a career in the nuclear sector, register your CV now to apply online for any of the jobs listed. You can get the latest jobs sent straight to your inbox as soon as they are advertised. Employers and agencies are looking for skilled professionals right now. Uploading your CV to nuclearsectorjobs.co.uk puts your name in front of them and allows them to come directly to you with job offers. nuclearsectorjobs.co.uk is designed to be the leading recruitment website for the nuclear industry, attracting high calibre candidates. 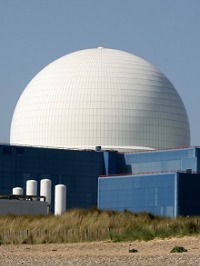 nuclearsectorjobs.co.uk empowers you to fill your vacancies with the best candidates. You can manage your recruitment campaigns effectively with our advanced online management and reporting tools and you'll have access to an account manager who understands your business. To advertise your jobs, please call 0207 965 7483 or email sales@nuclearsectorjobs.co.uk for details of our rates and packages.